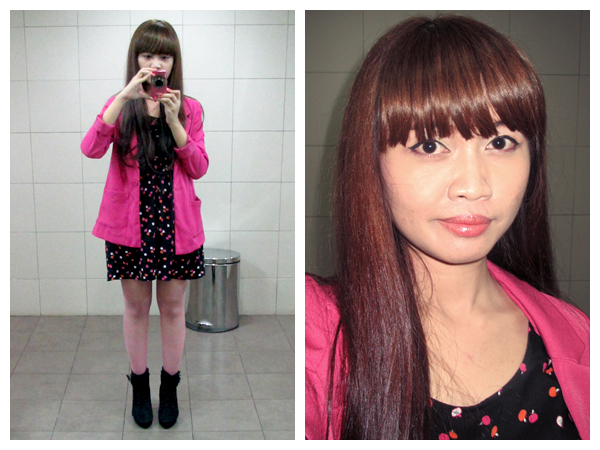 My look of the day for the event. Cute cupcakes & lovely goodie bags! I arrived early, and met Nisa first. We talked a little about beauty bloggers event cause she's so active. And then came Cecile, Dessy. 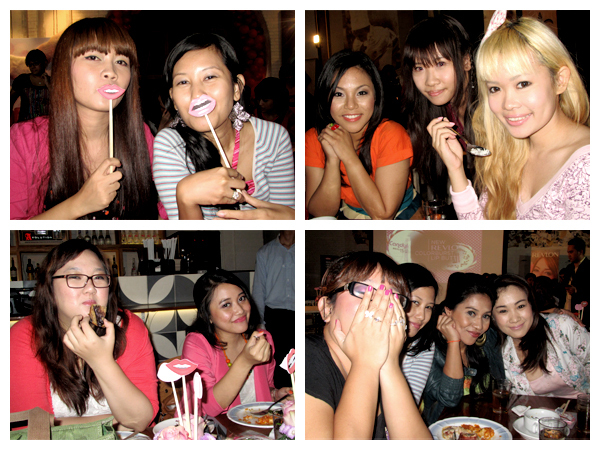 We get into the area, then booked a long table for beauty bloggers, hoho.. Inside, I met Catra!! Finally! (Hello Catra ^^). Then came also Stella Lee with her amazing blonde hair (Im seriously amazed! ), Marcelle, Yuri, Putri Kansil, even Mada!!! Who has just arrived from Bandung! I saw many other familiar beauty & fashion bloggers on the other tables such as Lizzie Parra and Carnellin. 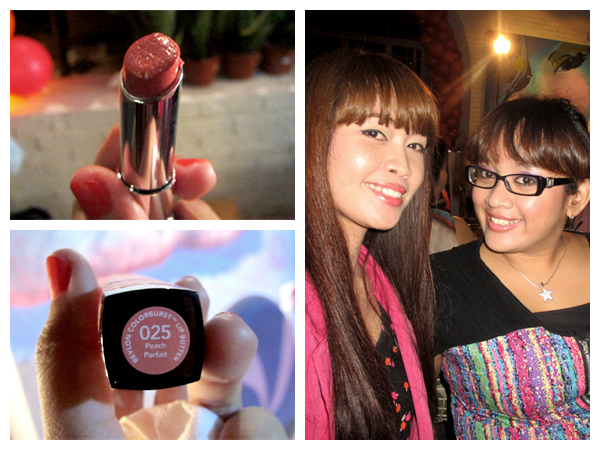 While we were having dinner, we could tried the Revlon ColorBurst Lip Butter that we liked. I chose Peach Parfait and I love it a lot! It looked good on my lips. 20 shades of Revlon ColorBurst Lip Butter. It comes in a semi-transparent packaging. Basically, this lip butter is the combination of lipstick and lips moisturizer, which is good for everyday lip color. The texture is SUPERMOIST, the color is not as solid as lipstick. Why it called Lip Butter? Because it contains some kind of butters like Mango Butter, Shea Butter and Coconut Butter. My chapped lips suddenly became moist and soft. Yummy! Me & Catra used our favourite shades. Suddenly Ary Kirana and Iwet Ramadhan showed up as hosts and opened the event. 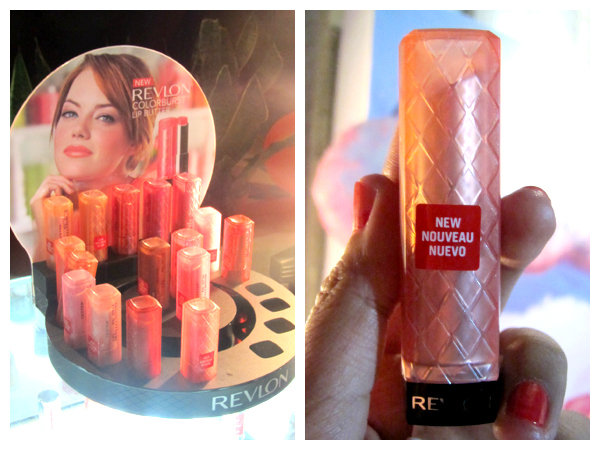 Then Mrs Sant Turino, Revlon Brand Manager explained about Revlon ColorBurst Lip Butter and introduced the ambassador: Emma Stone. 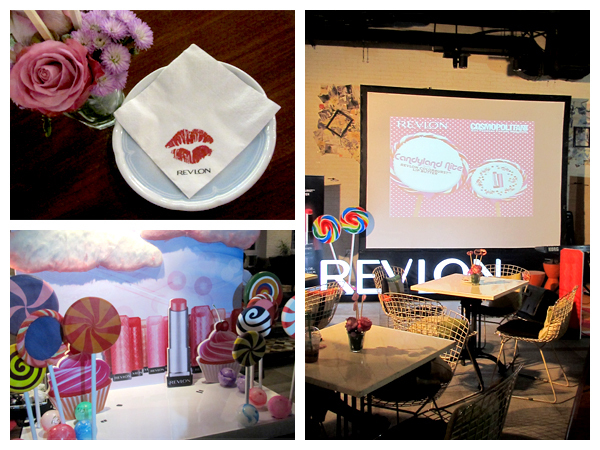 They also showed us behind the scene videos & Revlon ColorBurst Lip Butter tv commercial. Next.. Fashion & Beauty Talk Show with Nina Nikicio the designer and also the owner of Nikicio, and Dewi Utari, a fashion blogger and also Fashion Editor for Harper's Bazaar Indonesia. 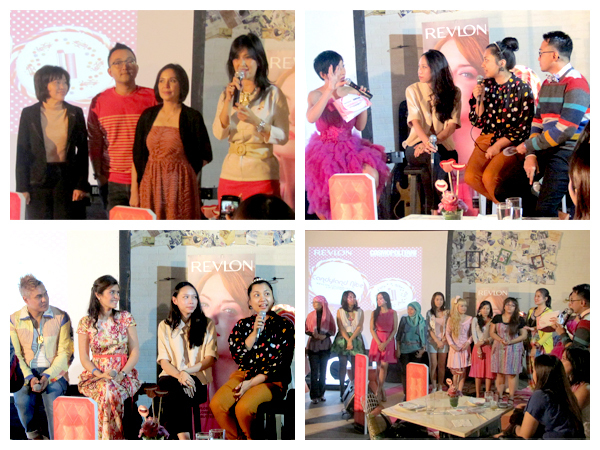 They talked about 2012 fashion continued to the make up talk with Hendro Revco (make up artist) and Carissa Putri, as a new face of Indonesian Revlon. After talk show, they held the "make over" game. They choose 3 pairs of fashion & beauty bloggers. I was chosen to be one of participant (because in our table only me who also posts about fashion XD) with Putri Kansil. We must mixed and matched the clothes that were already provided and did the make over to the model. 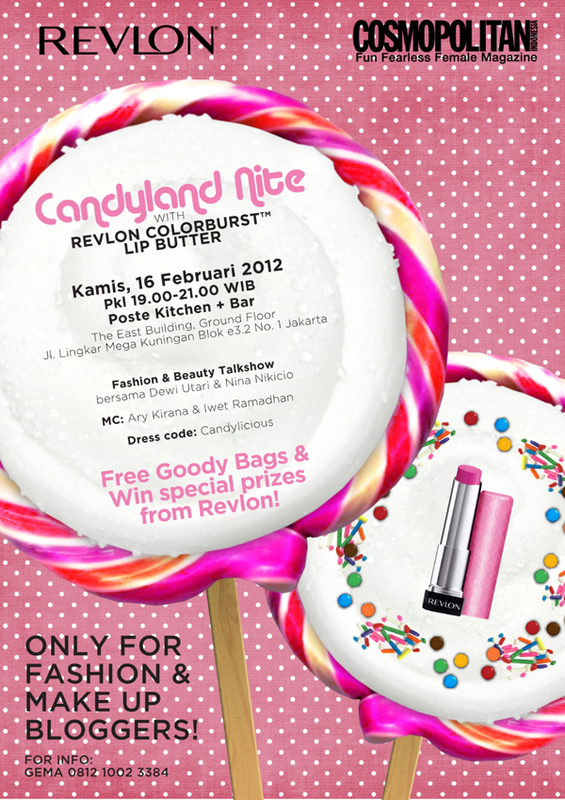 Although we are the third winner, we still got the prize: Revlon goodie bag worth IDR 250.000. 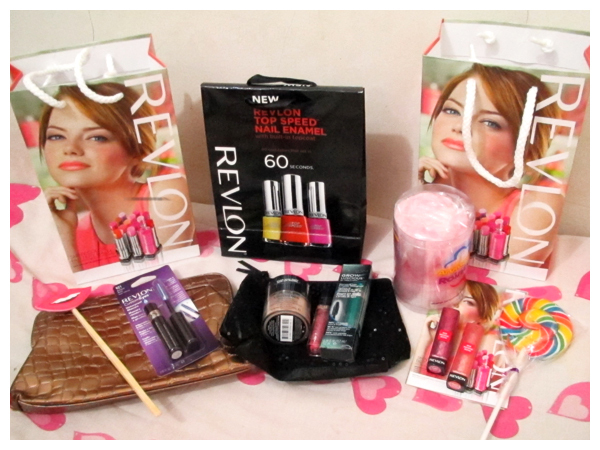 It consists of a make up pouch, a Revlon Custom Eyes Waterproof Mascara and a Revlon ColorStay Aqua Mineral Makeup. Putri and me shared the prize. 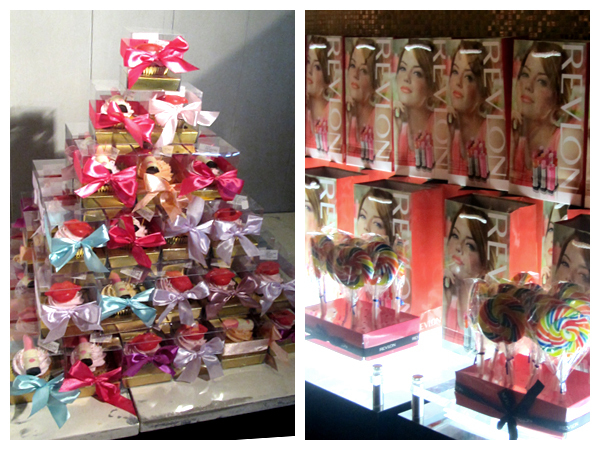 Before get out, the beauty bloggers took some pictures together on the Candylicious set, unfortunately my camera is off. 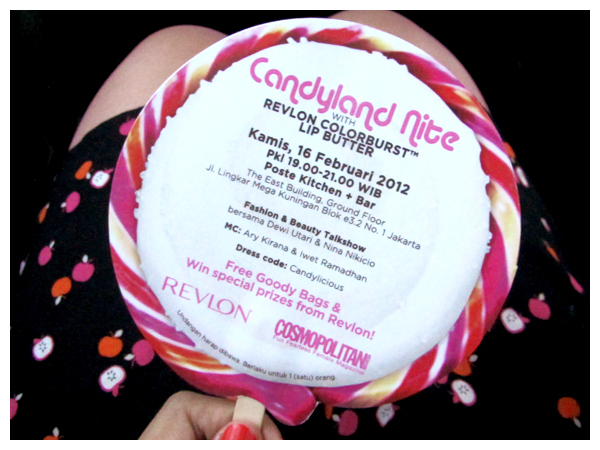 They gave us a Revlon goodie bag (again), which consist of a Cotton Candy, a lollipop and 2 shades of Revlon ColorBurst Lip Butter! Yaaay! I got my favorite shade: Peach Parfaits and a darker shade (I forgot the name) which was exchanged with Sugar Plum from Putri Kansil (she's so calm and nice!!). 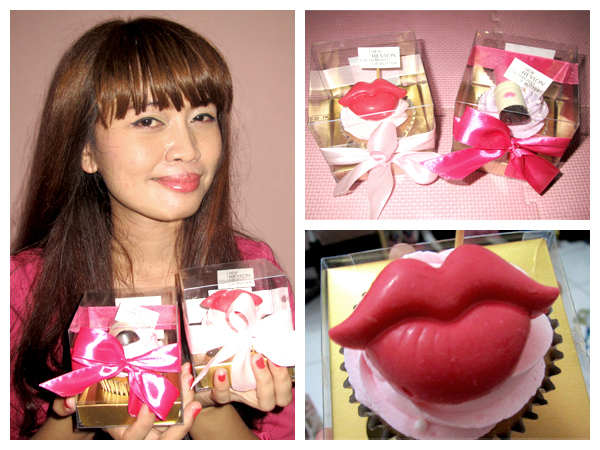 We also got 2 boxes of cupcakes with a lipstick & red lips icing! SO CUTE! We bring a lot of goods that night, I even left the Hello! Magazine and the picture that taken in the candylicious sets there.. Huhu.. Anyway, what a fun event! 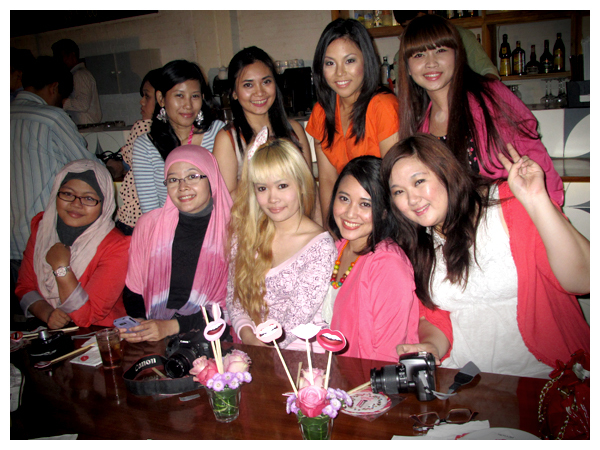 Especially I could met the others beauty bloggers, that was the happiest part! Thanks a lot Revlon and Cosmopolitan!